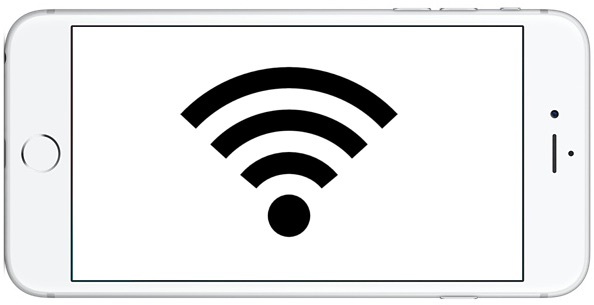 Wi-Fi Assist is a feature on modern versions of iOS which allows an iPhone to automatically start using the cellular data connection if the established wi-fi connection is poor. 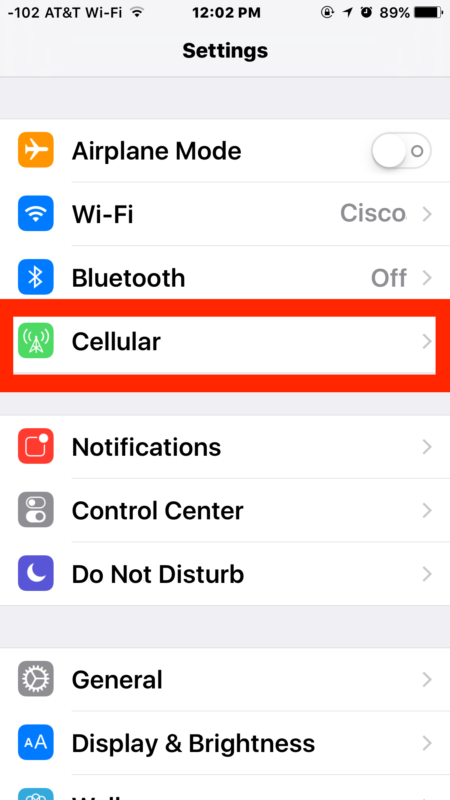 Enabling Wi-Fi Assist tends to make overall internet connectivity more reliable, but it has the potential downside of an increase in cellular data usage, which is why some users may want to disable Wi-Fi Assist on iPhone instead. 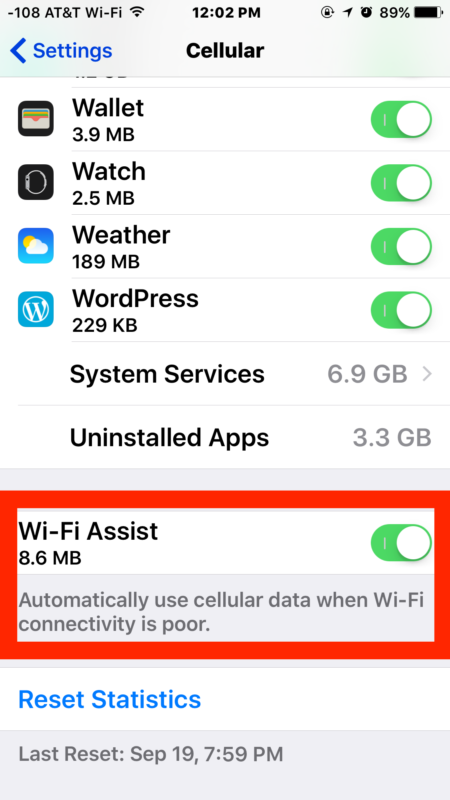 Whether or not to turn off Wi-Fi Assist or leave the feature turned on is really a matter of personal preference and data use, but we’ll show you how to do either on iPhone and cellular equipped iPad devices. It’s worth mentioning that many users will not notice much of a data use change whether they have Wi-Fi Assist turned on or off, because Wi-Fi Assist is generally not activated often (how often is your wi-fi connection worse than your cellular connection?). In fact, if you have the feature enabled, you can actually see exactly how much increased cellular data is being used by Wi-Fi Assist offloading to cellular when you go to toggle the setting to fit your needs. Generally speaking unless you’re often on low quality wi-fi networks, Wi-Fi Assist won’t be used too often. As you can see in the example screen shot, this particular iPhone model has used the feature so sparingly that only about 8MB of data was offloaded to cellular. Personally I leave wi-fi assist on because I want to be able to have my iPhone connected as often as possible, but some users may find it advantageous to disable, whether due to unusually high mobile data usage (as seen by some after updating iOS and the feature being turned on), or for whatever other reason. Actually the problem with the iPhone and WiFi is the fact that ios struggles to goto the login screen. When I land at just about any international airport, I can spot the iPhone users. They are struggling with the airport WiFi. Ios often refuses to bring up the WiFi login screen. The Android users are already using WhatsApp. Actually Wi-Fi Assist has nothing to do with logging in to wi-fi or airports. My iPhone wi-fi works fine, maybe you are using it wrong. I keep seeing complaints about this but have never seen any documented evidence of how much additional data Wi-Fi Assist potential uses. I image it varies widely depending on the individual. Personally, I don’t think Wi-Fi Assist switches over to Cellular Data aggressively enough. Even with Wi-Fi Assist enabled, I often find myself turning Wi-Fi off because my phone as connected to a very slow AP. Of course… then I forget to turn Wi-Fi back on which causes me to use up way more data. The amount of data wi-fi assist uses depends on how often the user connects to poor wi-fi networks but retain a good cell signal. Anecdotally I’ve passed maybe 100mb through the service since activating it, not much data use at all really. I think it got a bad rap a while ago, but it’s a good feature to leave enabled. Me too. I also resort to switching wi-fi off when I encounter a slow network. To be more specific: the network inside Dutch Intercity trains isn’t that bad at clock speed (802.11g at 45 Mb/s, if I remember correctly) and strong signal, but the bandwith allotted to an individual user is too limited to comfortably catch up with (fetching the headers of) RSS-feeds. Then I would welcome a more aggressive switch to cellular.